This giant trowel and gardening glove piece was designed with a Chelsea Flower Show theme by event production company Family Ltd. Jo Malone commissioned the models to feature as window displays in their Sloane Street store and Harrods concession. We scaled the model up to 10 times its actual size using wood, stainless steel and PVC foam lined material. 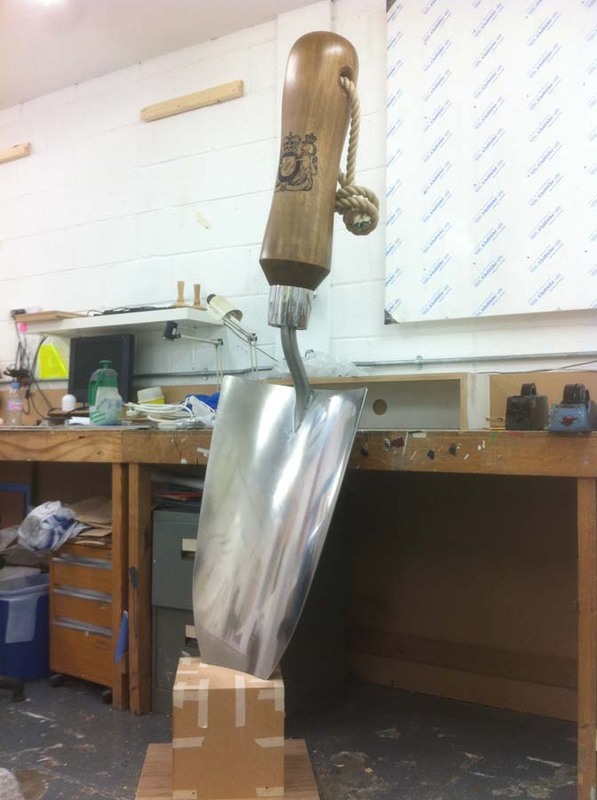 For the giant trowel we used traditional methods of turning the handle on a wood lathe and laser cut the stainless steel, curving it into shape. 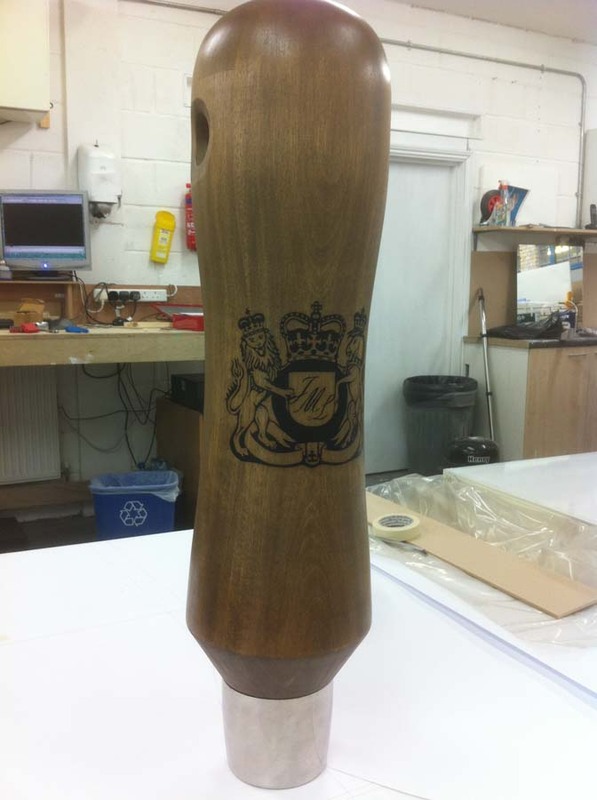 Then, for authenticity, we applied a rubdown transfer to the wooden handle. We produced the giant gardening glove using a wooden frame for support and then scaled up the pattern from the original, hand stitching with smooth string in order to get the top stitch detail around the thumb seam. 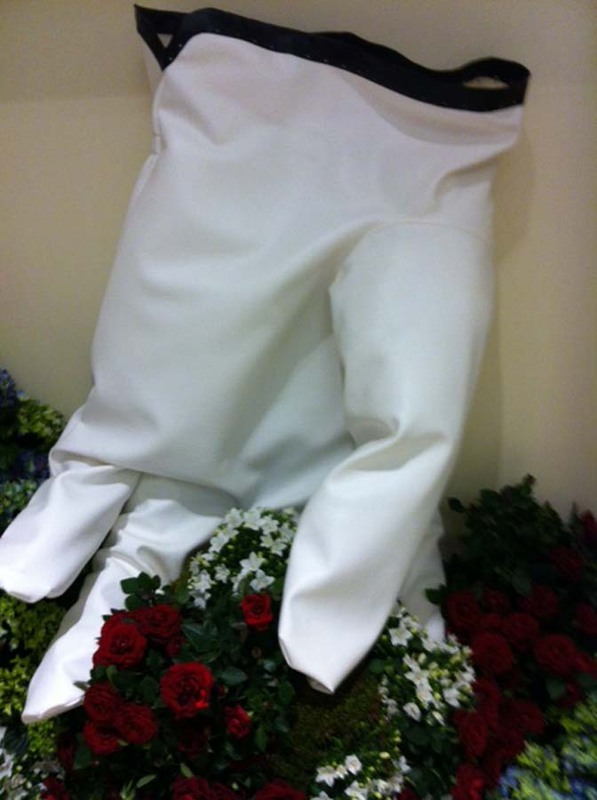 Finishing the displays with a beautiful array of flowers, we successfully installed the pieces at both locations. The trowel was so realistic and impactful, that after the event the client kept it as a piece of art.